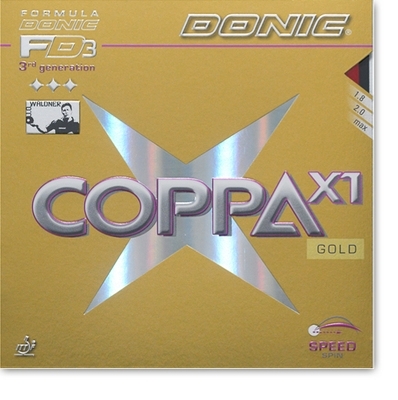 **SALE ITEM** Coppa X1 has a medium hard sponge with fantastic ball control for such a fast and spinny rubber. The precision and control of COPPA X1 is second to none. The ideal rubber for most attacking players. Basic character: fast high precision spinny rubber, perfect touch. Players style: offensive with fast topspin, half-distance play.